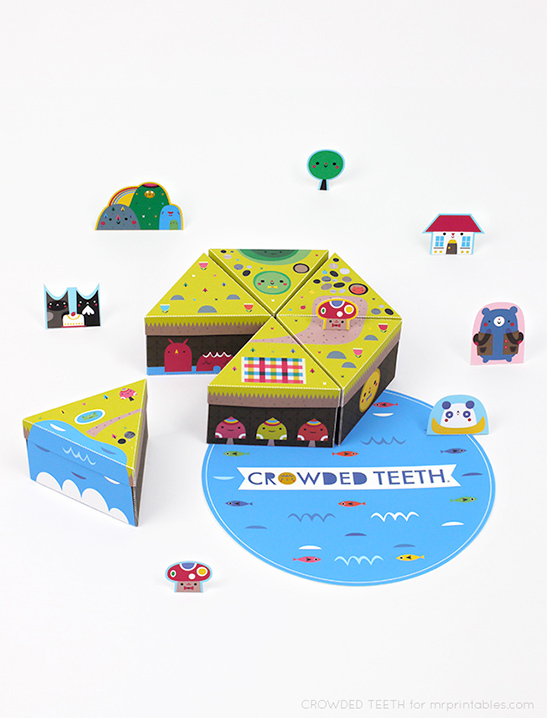 We're so excited to present the wonderful Crowded Teeth! Fabulous illustrator Michelle Romo is the creator of Crowded Teeth and she's created this amazing printable template especially for Mr P! 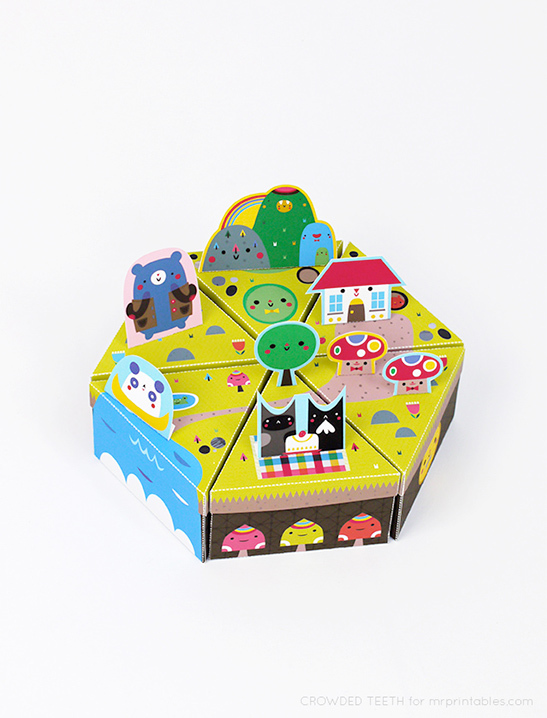 These ultra cute paper island boxes are a real treat, oh where to start…! 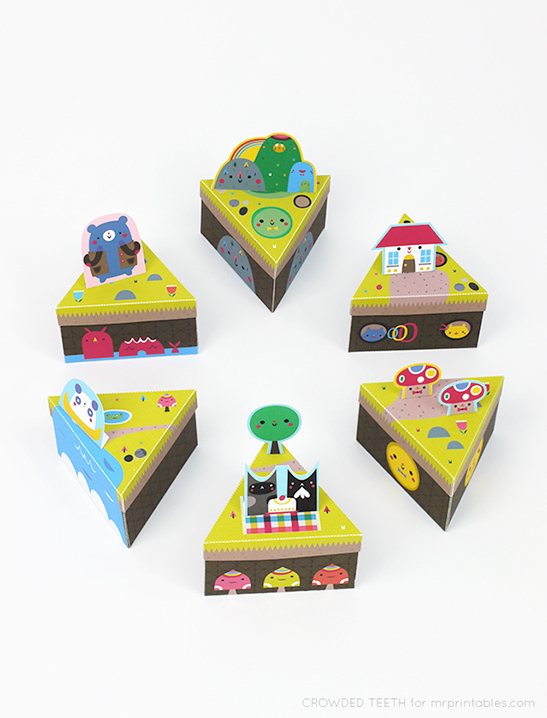 They look so fun simply as room decoration, a paper diorama of a little island (or a group of islands – there’re 6!) with its landscape and add-on inhabitants. A small piece of Michelle’s art you can make yourself and proudly display and admire. We love that the top of the island is lush green land and the side of the island depicts the cut through side of the underground scene. It’s a most unusual version of these kind of cake boxes, where you can have a slice of the Earth instead of a cake. Or shall we call it a mud cake? The 6 small islands can come together to form one large island or float away individually from the others. 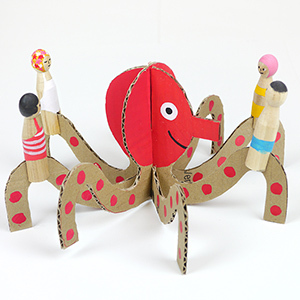 It makes a great paper toy with potential for lots of adventure stories happening amidst a vast ocean of imagination! 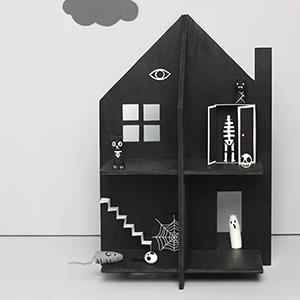 You can also store small things & the little add-on creatures inside (or underground! 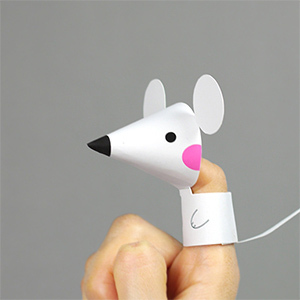 as it were), they are clever little boxes. These will make great party favor boxes – you can make a center piece that will impress everyone and just imagine telling the little guests they can take their very own slice of the island with hidden treats inside! Maybe perfect as a little surprise for this summer’s ocean themed parties?